Portion Cups Are Conveniently Sized To Handle A Variety Of Dining Applications. Its Leakproof, Polystyrene Construction Holds Liquid Items For Extended Periods Of Time Without Soaking Through. Strong Closure Keeps Items Securely Contained For Easy Transportation When Used With A Lid (Sold Separately). Disposable Design Allows Quick, Easy Cleanup After Each Use. 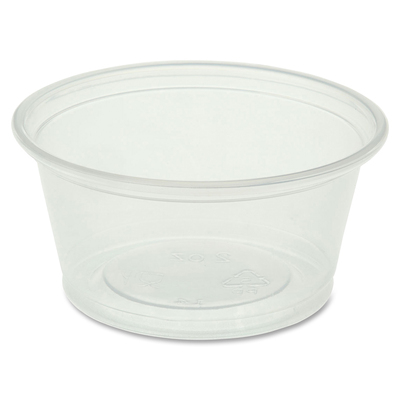 Portion Cups Are Perfect For Serving Beverage Samples, Condiments, Sauces And More..